Rocco will manage Bentley's U.S. sales growth. Bentley Motors is tapping a seasoned automotive executive from Nissan to become vice president of sales and operations -- a new role -- for the Volkswagen Group brand's Americas division. 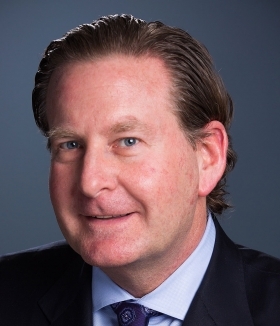 Mike Rocco, who has more than 25 years of experience in the automotive business, both on the dealership and corporate level, will start June 19 and be charged with managing Bentley's recent U.S. sales growth. Rocco, 49, served for more than two years as regional vice president of Nissan North America's mid-Atlantic region, and became regional vice president of Nissan's Central U.S. region just last month. "Mike Rocco has the experience and expertise to come in and immediately lead our sales operations," Bentley Americas CEO Mark Del Rosso said in a statement. "The Americas region is key to Bentley's global success." The Americas were Bentley's top global market for unit sales in 2016 and Del Rosso says the region greatly influences how customers around the world view the brand. "Mike understands how a luxury business needs to operate, and I believe that he will collaborate with the Bentley field team and our dealers to raise our performance across the board," Del Rosso said. Rocco takes over for Mark Barnes, who was named chief operating officer of Bentley Americas in September 2016. Barnes previously served as the Volkswagen brand's U.S. sales chief, but was reassigned following the company's diesel-emissions violations. The COO position at Bentley Americas has been recast into a new role -- vice president of sales and operations -- spokesman Jeff Kuhlman said. Barnes is making a lateral move to become senior vice president of the new project management office at Volkswagen Group of America's legal department. The project-management office is serving as the liaison between Volkswagen Group and the U.S. government, which is monitoring VW following the company's 2015 diesel-emissions violations. Rocco is inheriting a thriving division, with Bentley's U.S. sales rising 92 percent through May. Much of the growth has been driven by Bentley's first SUV, the Bentayga, which hit U.S. dealership showrooms last August. Bentley will also be rolling out a redesigned Continental next year, and Rocco will be tasked with managing the expected boost from that model as well as fostering dealership relations. "Mike's got a long history in sales operations," Kuhlman said. "He's worked on the corporate side and the dealership side, so he's got great insights. We need a seasoned executive who can work closely with our dealers and Mike is that guy."